The Moolort Plains are a very different environment to the goldfields landscapes closer to Newstead. The plains country is part of the Victorian Volcanic Plains bioregion, once dominated by native grasslands and largely untimbered. 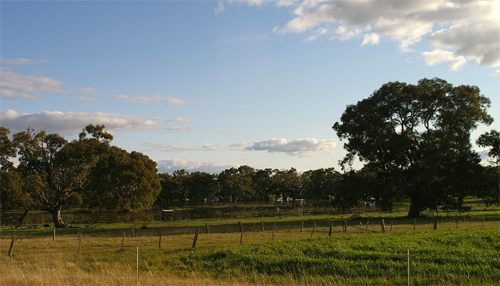 Silver Banksia, Tree-Violet and Bursaria were some of the predominant shrubs in this verdant landscape, prior to European settlement. 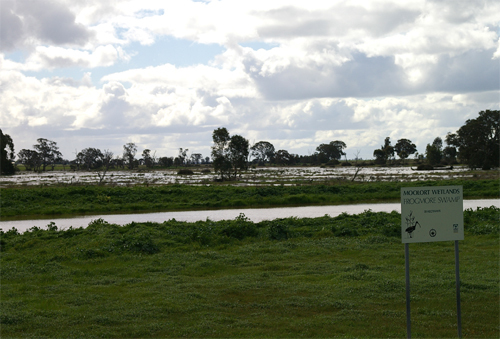 A feature of the Moolort Plains are its wetlands and swamps, many of which have been actively managed for conservation values by local farmers. The following images feature some of these beautiful wetlands. We are wondering the location of the Moolort silos. Can you help? Wonderful photos – we love your work. Hi Cathy – I have updated the post to include the location where I spotted the raptors – just click on the text and it will open the site in the Community Web Mapper. Would be keen to hear of any observations you might make in this and other spots. 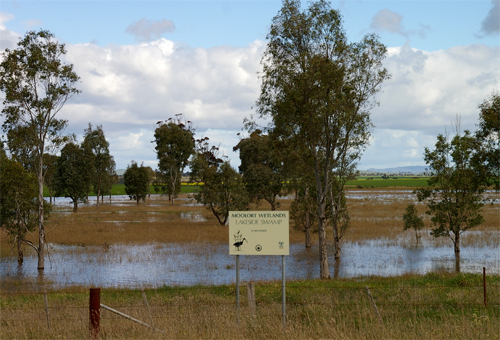 Lakeside Swamp is also known as Bakers Swamp.